Are Nasal Polyps Interfering with Your Sinus Health? Nasal polyps are not all that rare. They are non-cancerous growths shaped like grapes or teardrops most often found where your sinuses open into the nasal cavity. Nasal polyps tend to result from chronic inflammation in the nose and sinuses, although they can be associated with asthma and other disorders. They can also cause you to have difficulty breathing or lose your sense of smell. Surgery may be needed to remove large nasal polyps. However, they have a tendency to recur. Dr. Suresh Raja is excited to be on the cutting edge of nasal polyp treatment by offering the SINUVA™ sinus implant, recently approved by the FDA. SINUVA™ sinus implant is a new targeted approach to treating recurrent nasal polyps in adults who have had previous ethmoid sinus surgery, and Dr. Raja is among the first doctors in the US to have this new technology available. For many patients struggling to manage this disorder, SINUVA™ can be the solution that repeat surgeries, oral steroids and nasal sprays have failed to provide. Dr. Raja can place the implant in the sinus area during a routine office visit. The SINUVA™ implant expands into the sinus cavity and delivers an anti-inflammatory steroid directly to the site of polyp disease for 90 days. 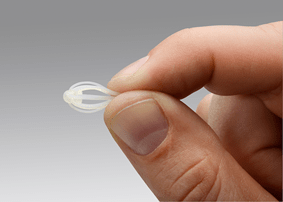 The SINUVA™ sinus implant is made from bio-absorbable polymers designed to soften over time as the polyps shrink. Dr. Raja can remove the implant 90 days after placement or earlier at his discretion. If you are 18 or older and have a history of recurrent nasal polyps, you owe it to yourself to let Dr. Raja evaluate you for the SINUVA™ sinus implant. No repeat surgeries, no troublesome oral medications, just a simple in-office procedure to effectively treat your nasal polyps. Dr. Raja is the first ENT specialist in the area to make this new treatment available to his patients. We have offices conveniently located in Wellington, Boynton Beach, Orlando, and Palm Beach Gardens.